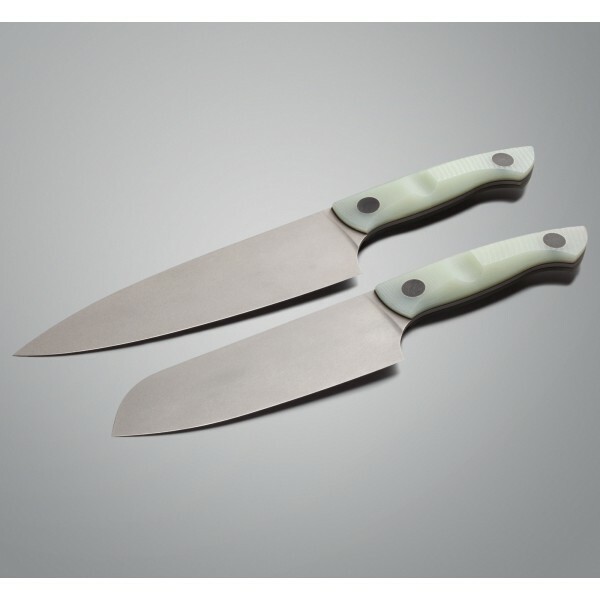 To guarantee that the pair stands out from the crowd, this one-of-a-kind 185mm chef knife and 150mm santuko set features semi-opaque, pale green "natural" G10 handle scales for a style never before enjoyed by kitchen tools. 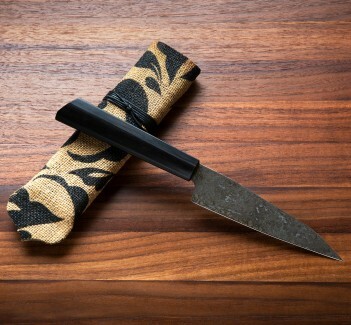 Oversized paper micarta pins grace the handles, adding strength and additional aesthetic. 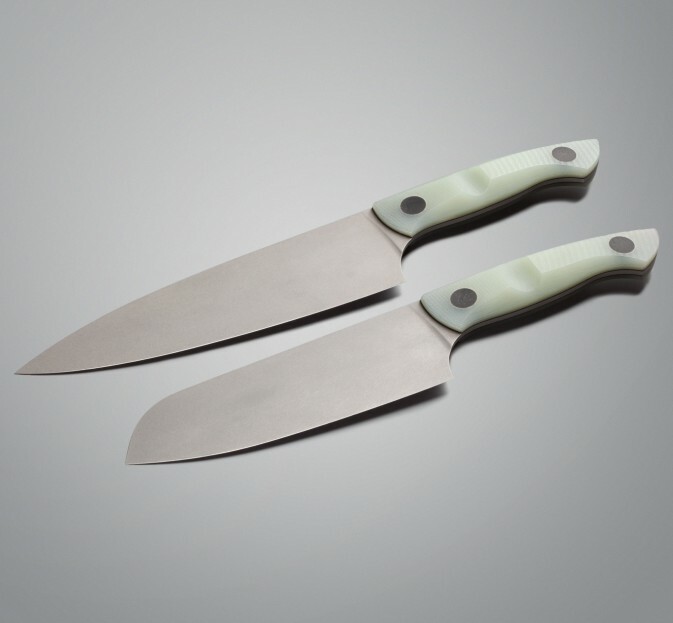 The 12C27 blades, light in the hand and razor sharp, are finished with a blasted matte look. 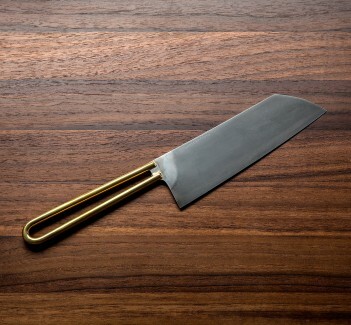 Jesper Voxnaes Design creates functional and unique products from a variety of materials, with folding, fixed-blade, and kitchen knives being what the artist is best known for. 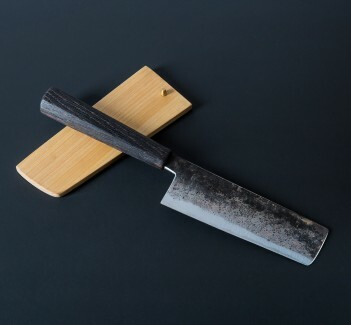 Jesper, a long time friend of ours and inspiring craftsman, operates a one-man studio in his hometown in Denmark and builds kitchen knives only for Eating Tools. 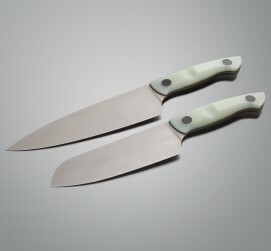 a truly outstanding set of knives, much more than I could've asked for. thank you for putting together such a great collection of tools all in one place!